Captain Cook's Endeavour. The model shown above was created as per client's request to capture the dark-tarred look of a vessel from the age of exploration. However, she can of course also be painted in her contemporary colour scheme. 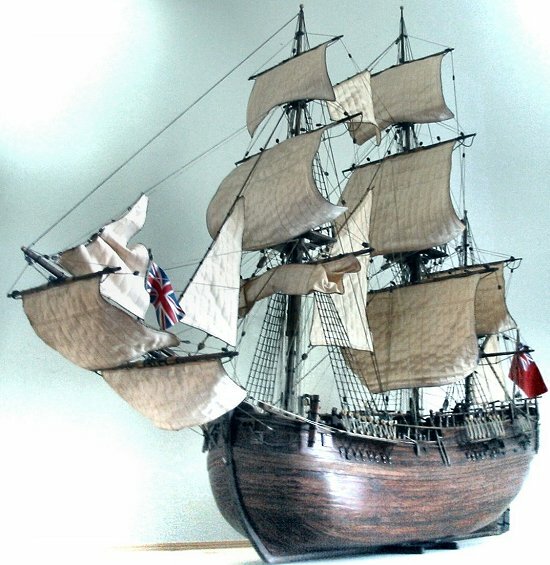 Any model can be created with or without sails, or have the sails in any configuration you prefer, for instance having them furled while the ship is at anchor.